Looking positively dashing in his ascendance day finery, Rauss Arnatt, neophyte of the Kabeiri, raises his icon for his brethren to cheer and whoop at. Arnatt is feeling good, and he's sure the magus gave him a little wink earlier. 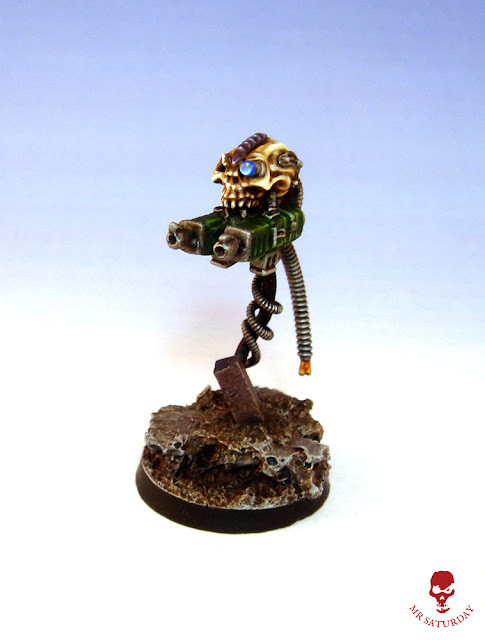 A neophyte icon bearer is a super useful addition to my cult, usable in Warhammer 40k, Necromunda and Kill Team. These days there is a huge store of bits available for the genestealer cult fan. Once, arming up the old Bob Olley hybrids might have been a chore, but no longer. They fit suspiciously well on most of the vintage boys. This particular, rather beefy 4th generation hybrid is one I think well suited to hefting a big heavy cult icon, and I've wanted to paint this one for a while. After some consideration I gave him a nice big phosphor blast pistol, which also fits neatly with the adeptus mechanicus flavour of the Kabeiri. He should be carrying an autogun or shotgun, but rule of cool won out. It took a fair bit of sanding and cutting down on the arms to allow for his unusually wide shoulders. Even so, he's still very broad. I'm okay with that as he's meant to be a bit beefcake. As with many Olley sculpts, his face was a delight to paint. I do love painting faces. With Arnatt done, I have two more minis to paint to finish my Kill Team squad. A purestrain, which is halfway there, and a neophyte with a heavy stubber. 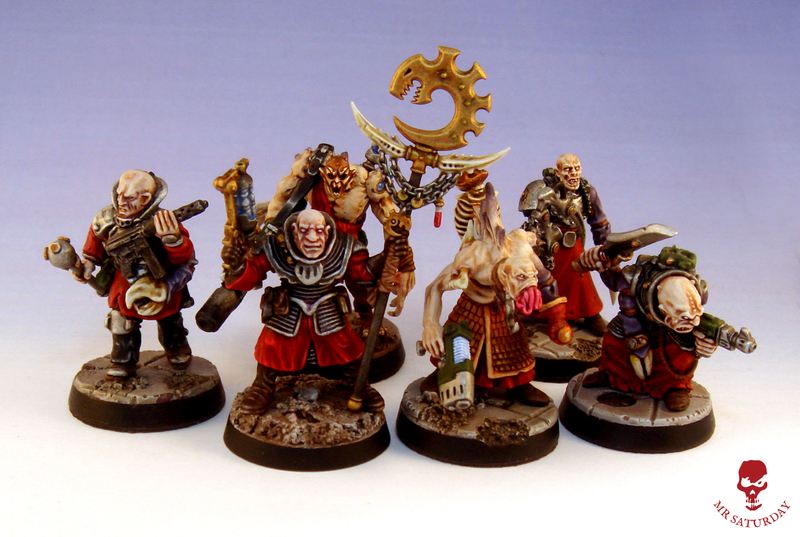 The heavy stubber can also go toward getting my neophyte squad up to ten models. Utility! Rauss shows off his shiny charge to his mates. Everyone is impressed. In the heart of the principal Kabeirian forge temple on Thelema stands the watcher. Raised as a symbol of vigilance and eternal patience, this huge statue gazes up to the heavens awaiting signs of the coming of the Star Children. For generations the faithful have made pilgrimage here in order to pay homage and lay devotions and trophies at it's feet. The histories of the martyrs and heroes of the Kabeiri are attached to the stone with wax seals bearing the wyrm form. The skulls of notable enemies are also laid here to bear witness the the resolve of the cult and show all the fate of those who stand in it's way. Inquisitor Johann Krasek, Warlord Gornak Worldburna, The Ethereal Aun'La Auta and many others pass the ages under the watcher's gaze. As the centuries have passed, the restlessness of the cult has found a focus in the watcher. So much psychic energy has been soaked into the stones that now the watcher is rumoured to shift it's gaze almost imperceptibly from time to time, as if searching. Deep in empty space the frozen, lifeless hulks of hive fleet Hephaestus drift silently through the void. It is the destiny of the watcher to hold vigil eternally for Gods that will never arrive. The watcher began life as a pile of broken statuette parts. 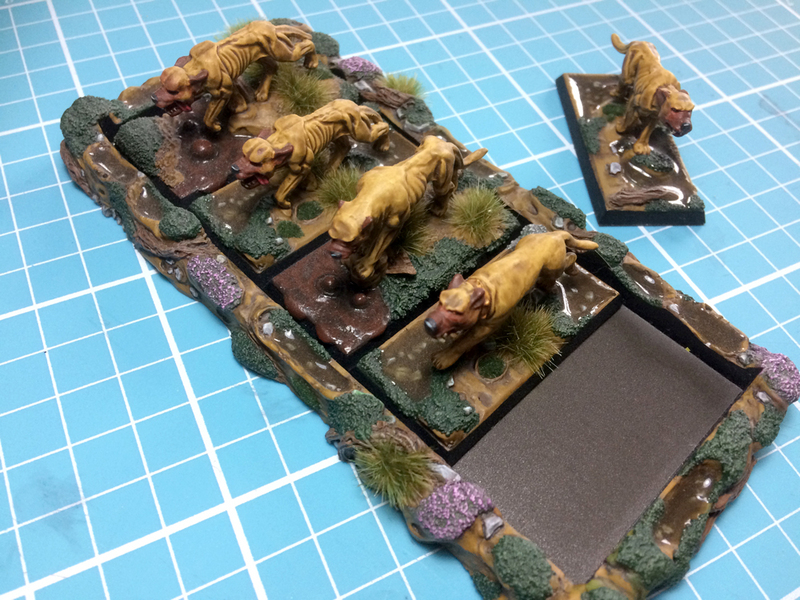 I set them aside with thoughts of making them into terrain at some point. Then, some time later the idea of a large cult statue struck me. 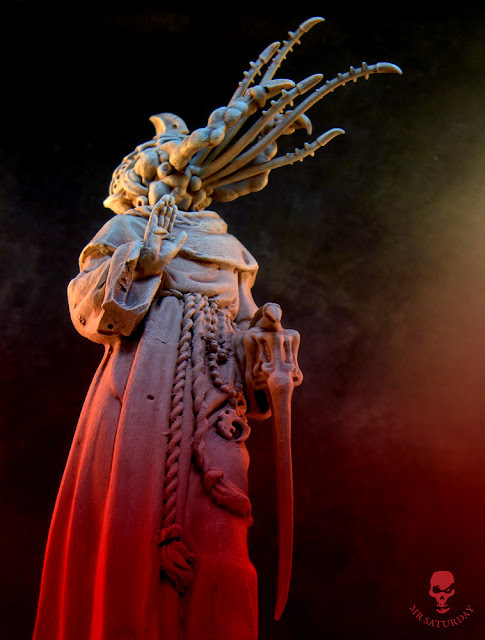 When I saw the giant statue of a patriarch in the new codex it fired me up and I set to work. The hybrid parts came from a spares bin at my local game shop. I'm not 100% sure what tyranid kits they come from. I cut them up, attached them, worked away with some green stuff and added a cult icon. I wanted to create a sense of scale, so I added the scripts, seals and trophies. I added orc and Tau skulls as well, as the cult has spread far and wide, and I intend to add hybrids of other races in time. With the painting, I wanted a pale stone so the weathering and grime I added would show easily. The cracks from the original breaks in the statue showed up nicely once it was painted too, which was a groovy bonus. I stippled on the pigments to the lower third of the statue, as this would have been the most touched by devotees. I also used my trusted Typhus Corrosion to add some more grime and dirt to the rocks and such on the base. 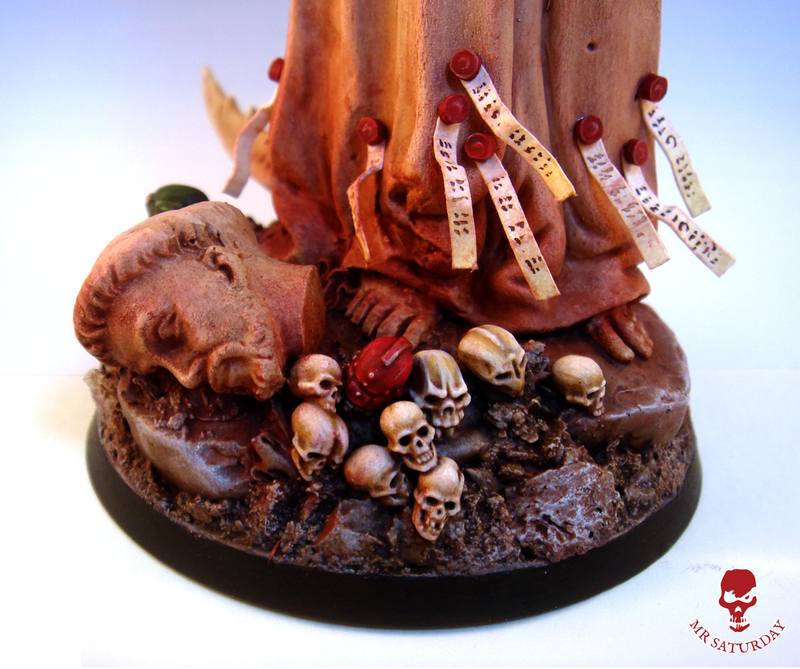 With that, I have a rather fetching cult terrain piece/objective marker. You can see here how big he is compared to the two hybrids. Now, back to that neglected icon bearer. Ahh, back among my brothers and sisters of the cult. It feels good. Feels RIGHT. Today I present two new members of the Kabeiri, or the Cult the the Wyrm Forged, brothers Groust Yogoth and Aldren Dekker. The acolyte kit is a box of gene-cursed wonders, with so many gribbly bits and pieces in it I spent two nights just playing with parts before I settled on the two fresh-faced lads above. As a wanderer in the outer darkness for many years, I cannot tell you the joy of so many cult kits and parts available now. It's magical. 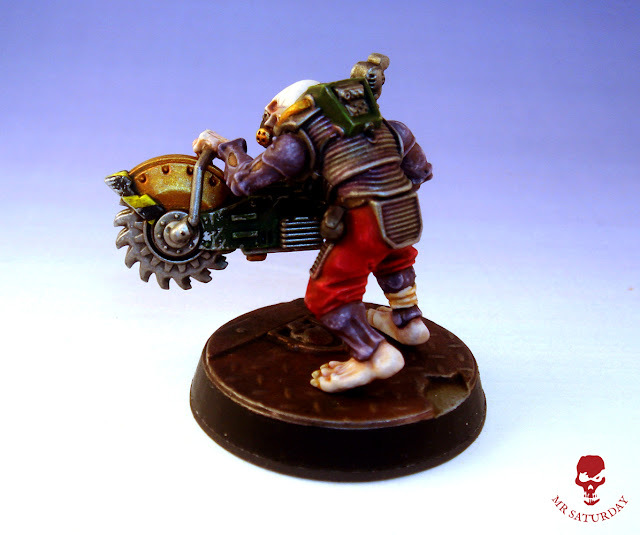 Brother Dekker is carrying a rock saw. 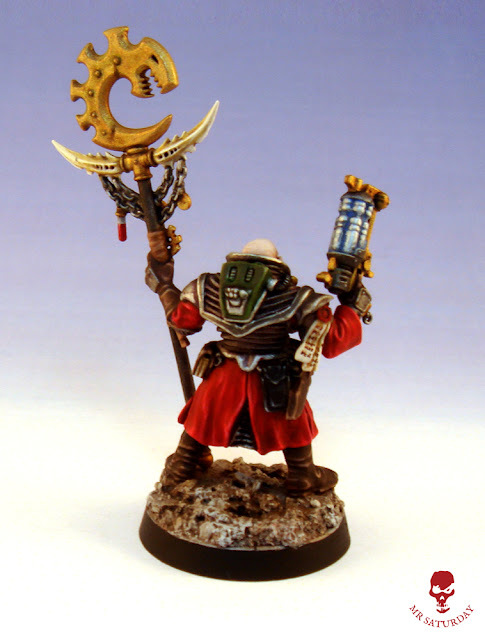 It was always going to be the first acolyte I made. It's so metal. 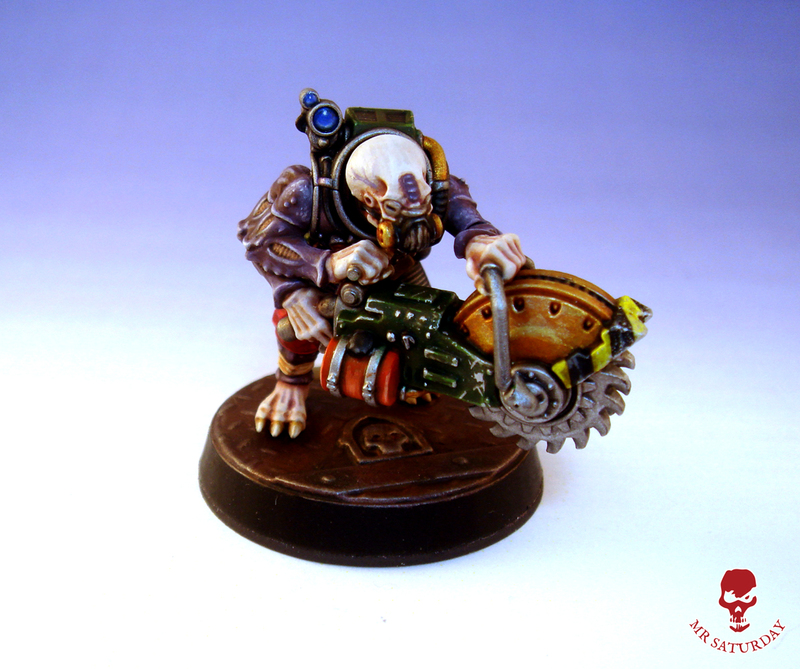 After joyously rooting about on the sprues, I assembled Dekker in three parts, keeping his head and the saw seperate. Woe betide anyone who glues it all together and then tries to paint it. Yes, you can't see the back of the saw for the most part, but now I know it's given as much love as the front. There's quite a bit of detail on these boys. pouches, icons, tubing, belts, blasting charges and so on. It's make Batman throw his utility belt over a bridge in shame. It's nice how closely the design echoes the old hybrids from the 80s. The backpack is particularly close, but there are lots of design hooks that hark back. They feel like they were made with no little love. It's the best of both worlds for me; gorgeous modern design combined with the nostalgic aesthetic of the original range. Epic win. Having learned some lessons on assembling painted sub-assembles lately, I used surgical gloves when handling the parts and made sure to re-drill any pin holes to remove any paint that had gotten in. It's amazing how that can make a perfect dry-fit into a nope once painted. I tried a little spotting for the highlights on the carapace, I think it makes it look a little rougher, more like a lobster or crab shell. I've seen some folks try mottling on the craniums too, I might give that a go next time. Brother Yogoth has a metamorph claw and hand flamer, plus a big old face of tentacles. I love the Ymgarl strain. I plan on doing a Ymgarl purestrain soon as well, get the whole family together. The claw is fantastic. I don't even know what it does in the various games I can use him in. I just want it. I do hear hand flamers are the thing, which is handy as that's what I gave him. It was hard to get a good angle on the claw, and it's a little blurred there. Sorry about that. With these two done, I'm almost ready for Kill Team, and that also feeds into my Necromunda gang and my modest 40k force. I'm quite keen on getting the bikers box as there are female heads in there, and I want to sprinkle them into my neophyte unit. I have designs on getting some (meaning all) of the new characters, especially the nexos and magus. The new set of characters are a boon to the cult. 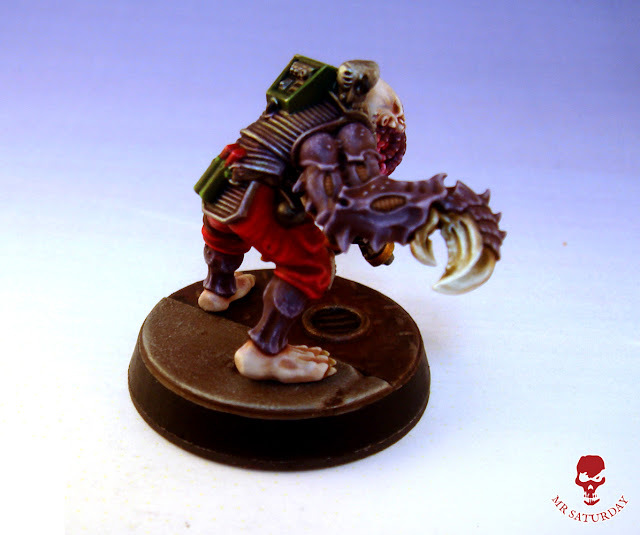 The kelermorph in particular is one of the most gorgeous miniatures I've ever seen. So, next up I think it's time for an icon bearer, which I require for every game system I can field the cult in. Loving the utility GW. Something old with something new for that guy I think. A wee shot of some of the clan. I think the new guys sit nicely beside the venerable old hybrids. I may throw up a post on the evolution (eh?) of the cult ranges in the future. 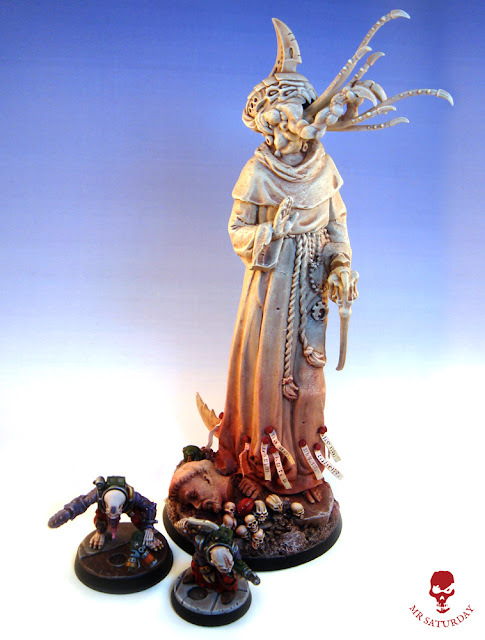 My reckon my hooded Magus is going to change careers to become a Locus, making way for a new lady to take charge. Living in the rural West of Ireland, I'm used to ordering a lot of my hobby supplies from overseas. This isn't usually a huge deal, but as we all know, international shipping has been creeping up over the last few years. 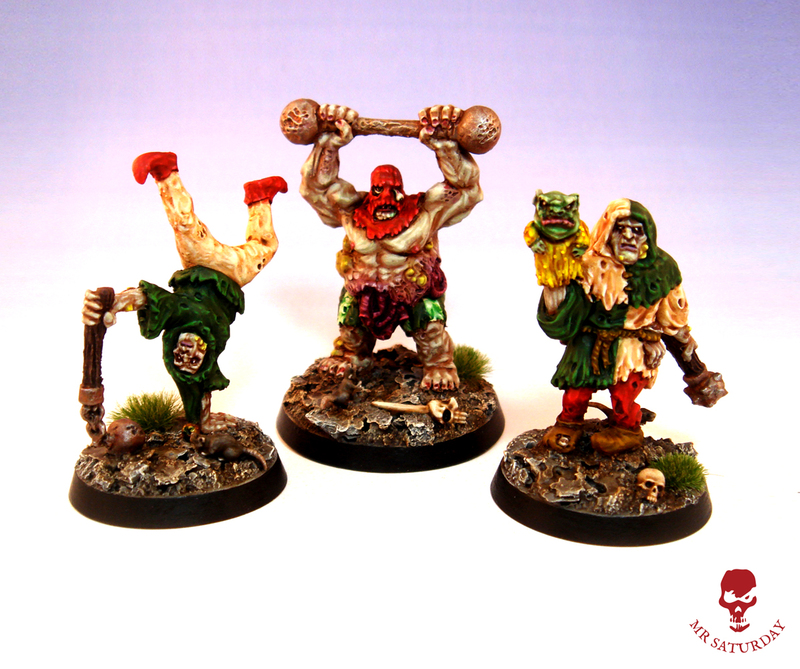 I became aware of Hobbymad a while ago, but my recent dealings with them has made me a big fan. I base all my minis with magnetic base bottoms. Why? Well, there are a few reasons. Number one is transport and storage. When a model is transported in a box lined with sheet steel, or indeed in a metal biscuit tin that model is going nowhere. For frail models like Man O'War, with those masts, or many of the more recent GW minis, this is paramount. Some of Hobbymad's range of magnetic base bottoms. No sliding off the dead tray for these guys. Plus you are sorted for those battling down the fridge games. 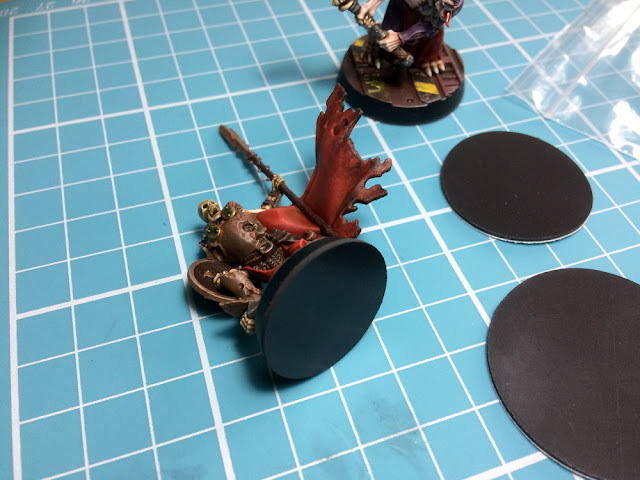 This again is super useful if you use movement trays. Line the tray with sheet steel and base the models with magnetic bottoms. Once in the tray, those lads are on there good. No more standard bearers toppling over or half the unit falling out on a hill, or, Gods forbid losing a few lads when lifting the unit. I used to transport my army in a large box with the units already sitting in the army trays, ready to deploy. The magnets kept everyone safe and sound. The sheet steel in the tray keeps these doggies in line. Sit! Stay! 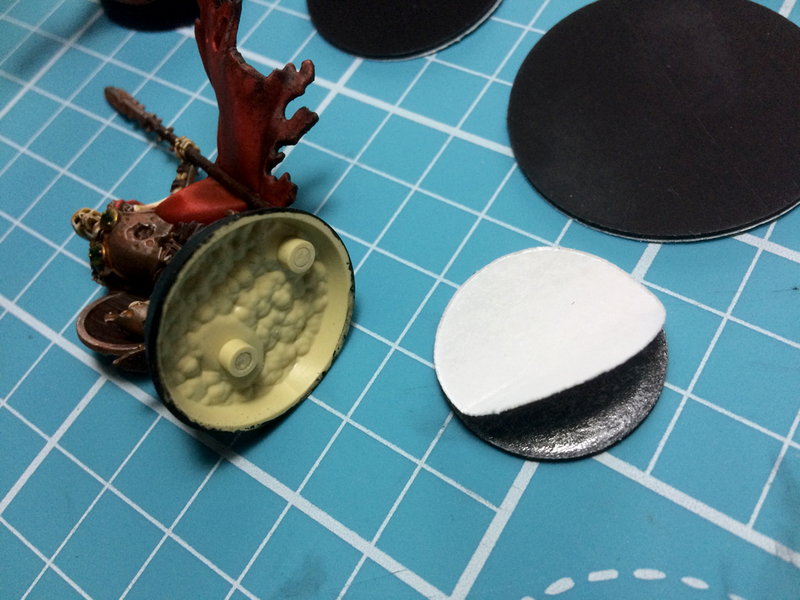 Another reason I use them is the finish off the miniature nicely. 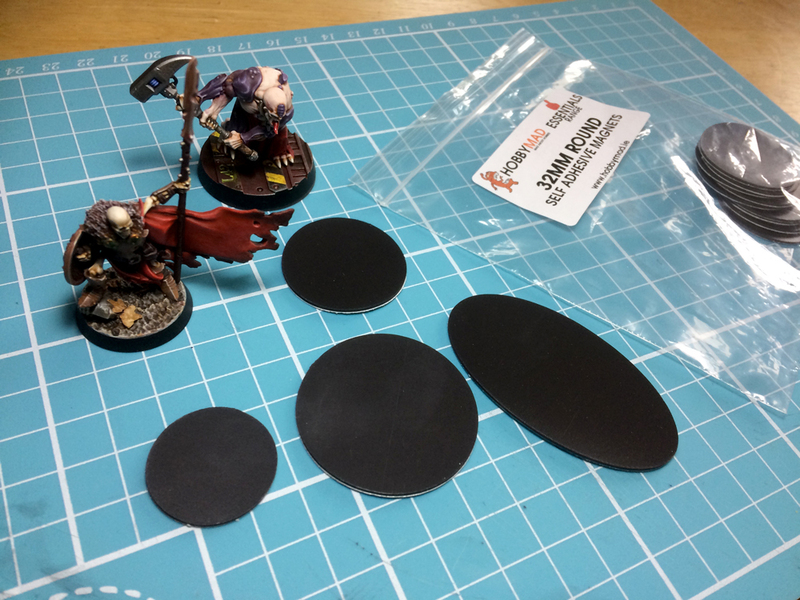 No untidy under-base, just a nice flat black base. A little obsessive? Yep. I used to get my base bottoms from Litko. This was fine, but shipping has skyrocketed from the States, and so that was the end of that. I experimented with cutting my own, that proved to be a huge pain in the arse. Cue Rob from Hobbymad and his new groovy router. Now I have access to very well-priced magnetic base bottoms from Ireland with free shipping over €10. 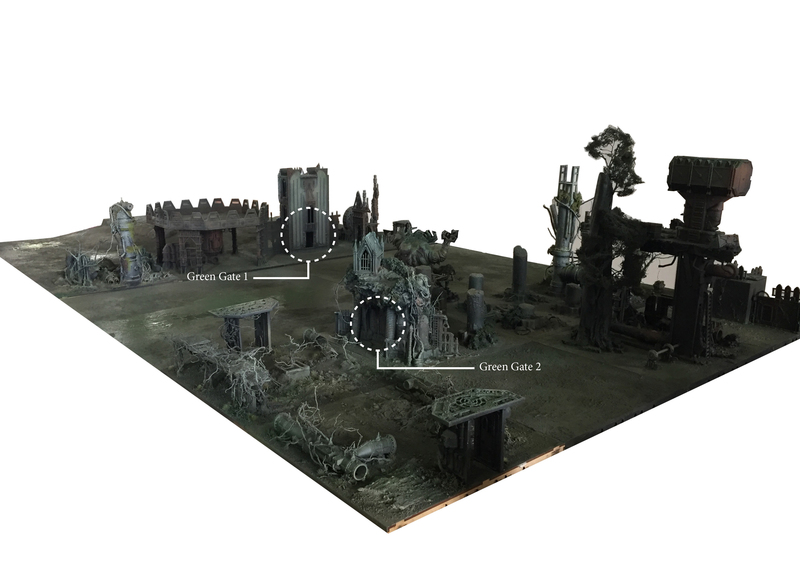 He can also cut and etch a bewildering array of materials with it, so tokens, custom shapes, paint racks etc are all now on the cards, including custom orders. I may have cried a little. 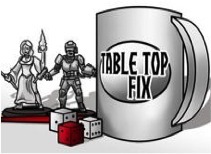 If you're like me, you love all the paraphernalia of gaming aside from the minis themselves, so access to custom tokens, counters, rulers and so on from a local supplier is a gift from the heavens. I do have to say, in addition to this new machine of wonder, Hobbymad carry a truly massive range of paints from Vallejo to the glorious effects paints from AK Interactive. 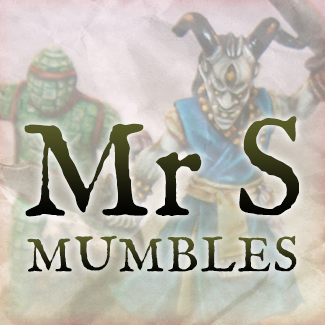 Tools, scenery, putties, dice bags, gaming mats, model kits, basing materials, books, magazines, glues and a teetering pile of other stuff, much of it often hard to reach but incredibly useful products you chase over half the web for normally. So, certainly for Irish, but really for anyone in reasonable shipping distance (those base bottoms are otherwise only available in the US as far as I can see) do give Hobbymad a look. 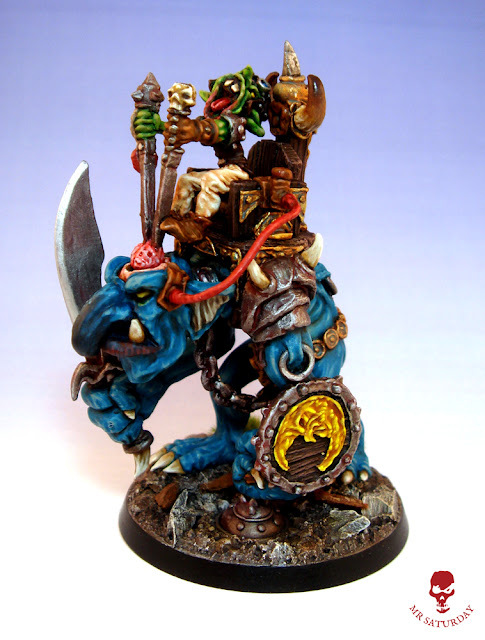 Eluf Gorebeard, Bloodfated, chosen of Khorne and Jarl of the Hversing clan strode along the deck of the bloodship World Eater with mounting impatience. He was man unused to answering the summons of another like some lackey, not even for one such as Aesir Vortag. 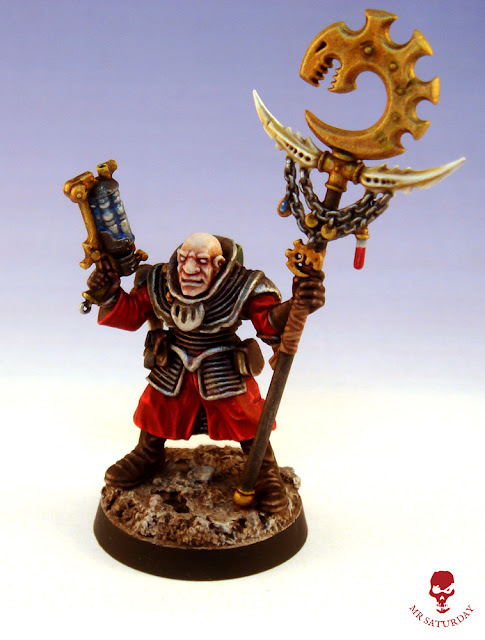 As Eluf approached the steps leading up to the immense black sterncastle he could hear the exhortations of a slaughterpriest addressing the faithful. The priest stood atop a high gantry which rose above one of the gigantic bronze vats that fed the bloodship's colossal greatcannon. He was loudly extolling those watching below to fight well in the coming battle. A captive lay kneeling before the priest, precariously balanced on the edge of the walkway, his eyes glazed with terror. As Eluf watched the priest raised his axe high, paused to give one final bellow to the crowd below and then effortlessly struck the head from the prisoner. The corpse collapsed forward before disappearing into the noxious gases rising from the bubbling inferno beneath. Eluf nodded curtly in approval at the perfection of the priest's killing stroke. Turning away, Eluf took the steps up in a measured fashion. 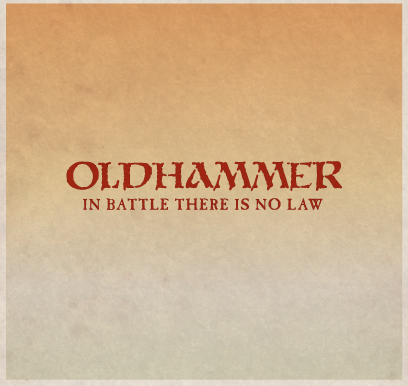 He would not be seen to hurry, especially not with Vortag's personal guard gazing impassively down at him from either side of the huge iron and oak doorway that led to his audience chambers. As he reached the head of the stair he could have sworn the guards took just a little too long to open the door to him. A measured insult he would take pains to remember. Grinding his teeth, he swept inside. Rush hour can be murder. 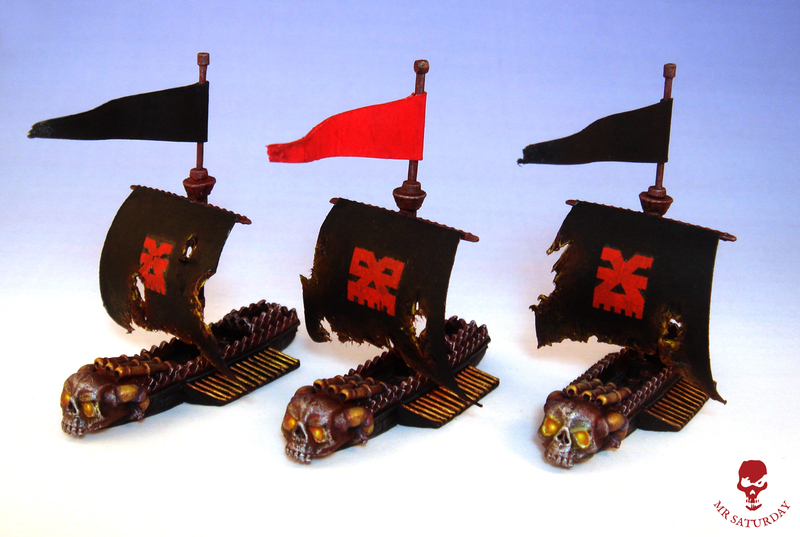 At long last the Khorne fleet is complete! The bloodships Worldeater and Impetuous Glory take their place alongside the flagship, Guns of Anarchy. The fleet now numbers twelve ships. 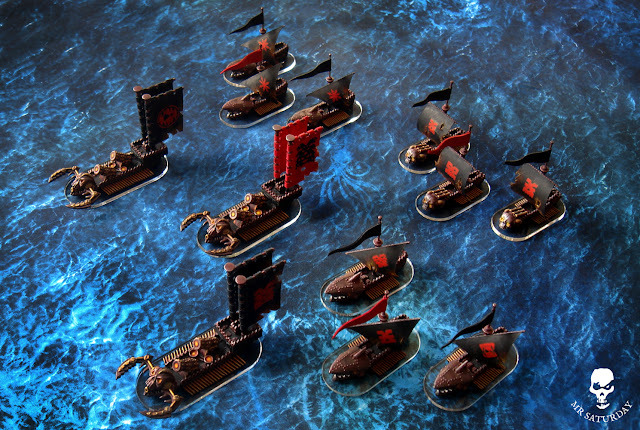 Along with the three Bloodships there are two squadrons of Ironsharks and a squadron of Death Galleys. That brings me up to around the thousand point mark. 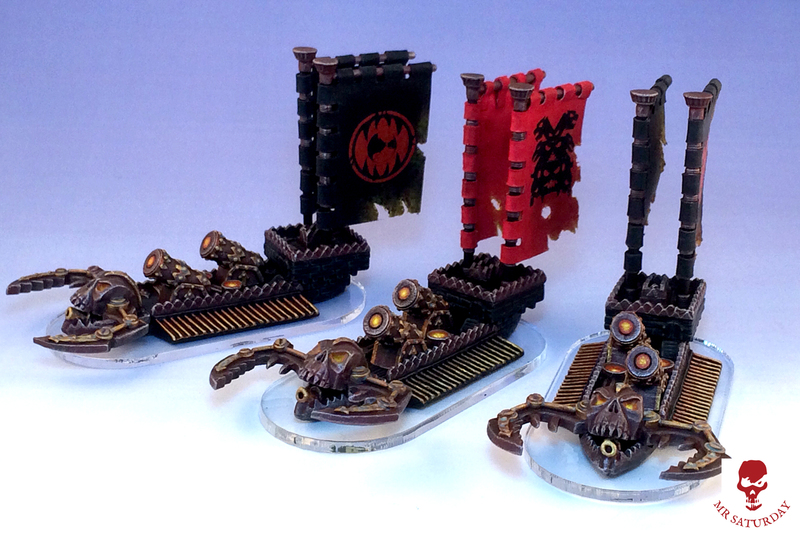 It's been a fun project working on something new like a Man O'War fleet, but I am very happy it's complete. I took way, way too long on it. The ships are dainty things, so I spent a long time figuring out ways to make them a little more sturdy. 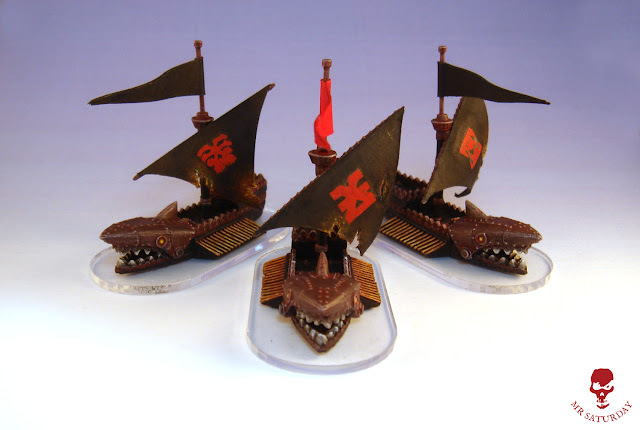 Metal flagpoles, masts, heavy card sails and clear bases are all intended to give the models more endurance. I may add some adhesive magnets under the bases for transport a well. You don't want them banging about in a box. Gods no. The fleet in it's entirety. 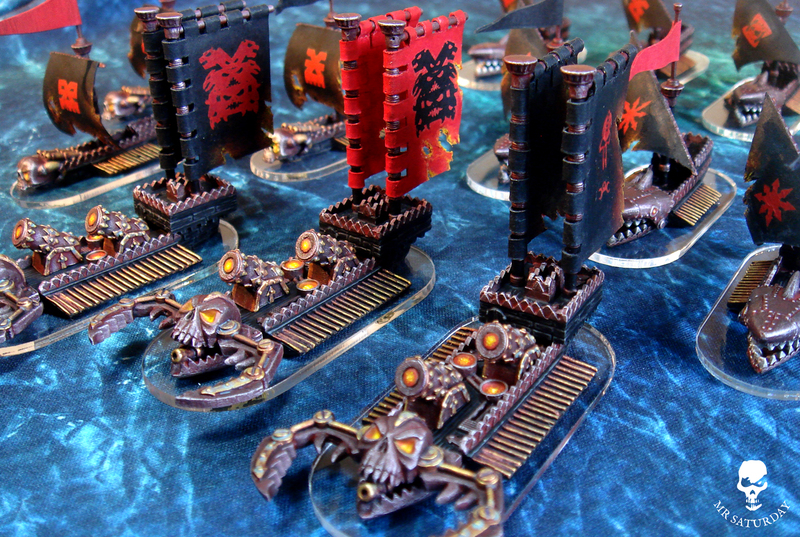 I had some nice new ship cards printed for the Khorne fleet, so I'm game ready. 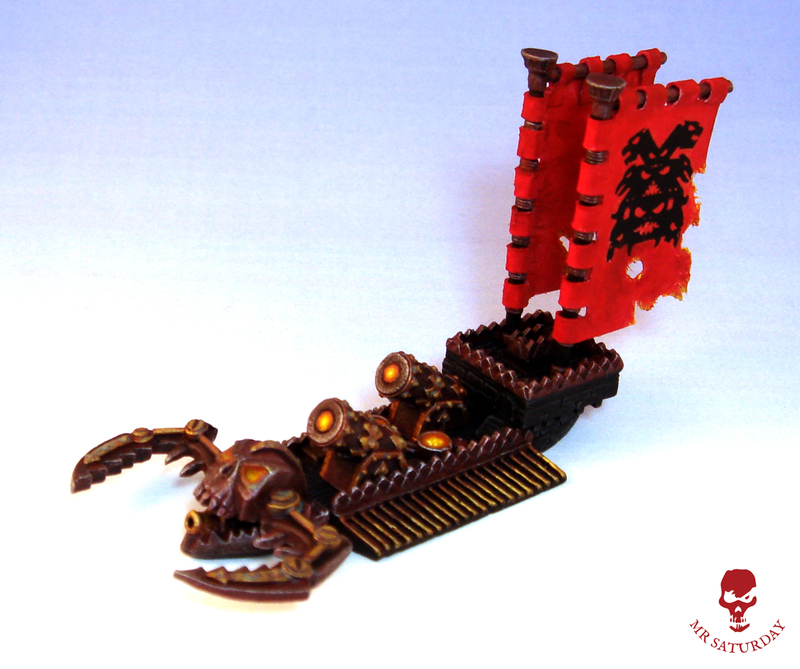 I may add a kraken or some other sea monster to the fleet, but for now the Bloodtide is ready to go a reaving! I quite like doing yearly reviews, it ties into why I blog in the first place. For me, blogging is as much a diary and archive as it is a means to present myself to the hobby world. I quite enjoy looking back over old posts and more than once I've looked up and old post for a name, company or link I'd forgotten. 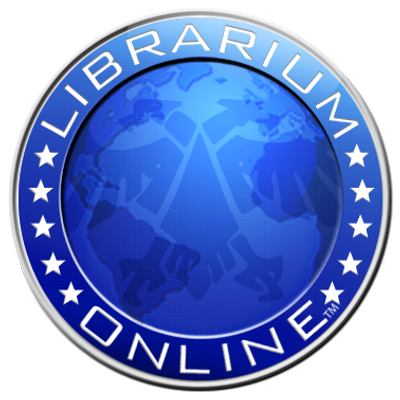 So, grab your walking stick and join me in the main lobby as we peruse the last twelve months in the Mumblings. Sherry? Welcome to the January room. Take a seat on one of the chaise lounge if it pleases you. This time last year I was working on some diminutive undead for the Bonefields project from Macrocosm. These were great fun, and I churned out quite a few. I particularly enjoyed the goblin vampire. 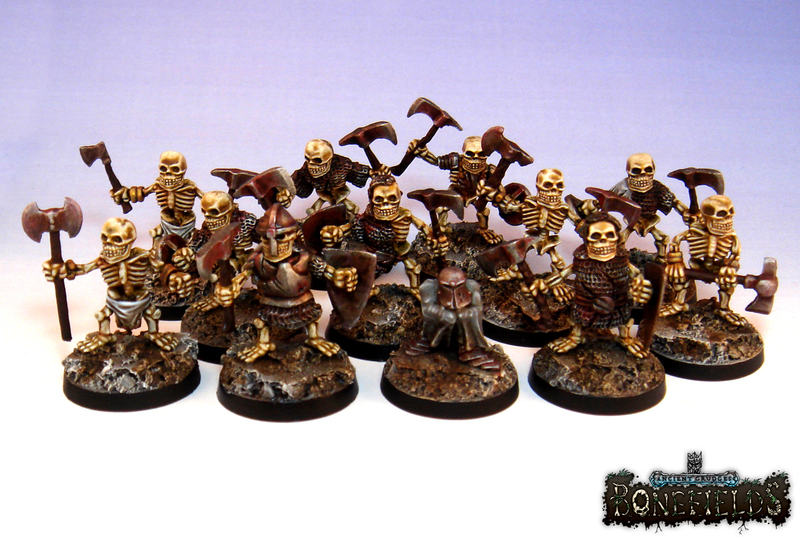 Sadly I didn't get to keep most of them, but they did turn up in the Bonefields rulebook, so that's cool. 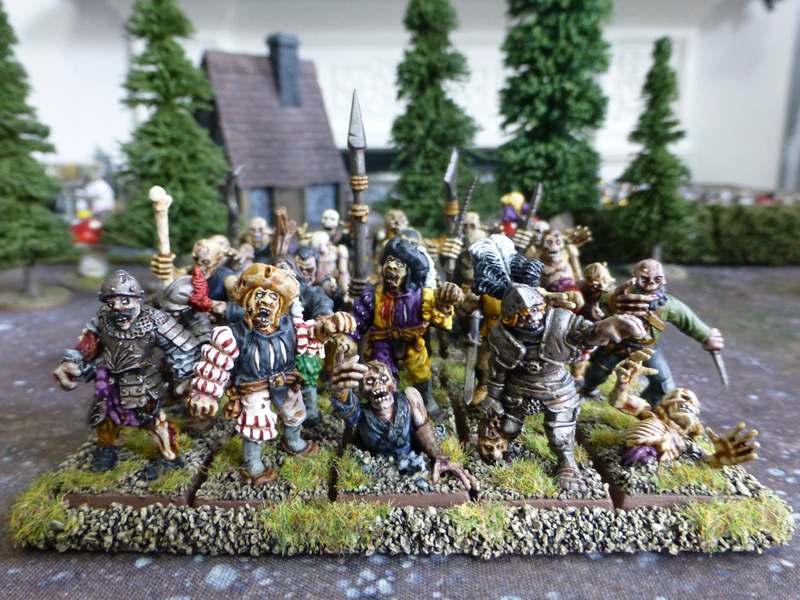 Once the undead dwarves and gobbos were off to the UK (sob) I consoled myself with building a gang for Dracula's America based on the Shadow Dragon Tong posse. But in space. Based on the Big Trouble in Little China movie. With eldar tech. And terracotta warriors. Looking back, this was probably my favourite project of the year. I was really happy with how it turned out, and I overcame my fear of painting black. It also added some spice my my Shadow Empire army for Dragon Rampant. Moving on, (we're into April now) I got bitten by the Underworlds bug. 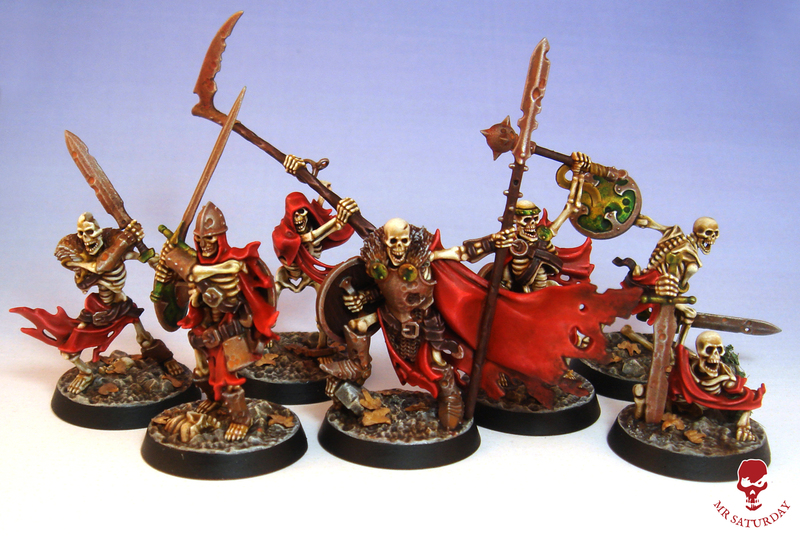 The miniatures are really excellent, and so I returned to the cold bosom of the undead with the particularly gorgeous Sepulchral Guard. Actually, maybe this was my favourite project. I loved painting these. You may have noticed warbands were my schtick in 2018. Maybe my attention span is narrowing. As signs of age go, it's not too awful. You should see my eyebrows. Nobody tells you about what happens to your eyebrows as you get older. Then, one day you're in the barbers and the hairdresser asks: 'Will I do your eyebrows?' and you think 'What the actual f*ck? Do my eyebrows?! What do you mean, do my-' (looks in the mirror) 'Yeah... I guess you better.' What next? Tops of my ears? Anyway, miniatures. These were magic to paint, but in some cases total bastards to assemble. I painted a few in sub-assemblies and didn't take enough precautions regarding how they'd go together once painted. I learned much. Like how much self control I have. I amazed myself by not eating some of them in pure frustration. Happily the minis survived my ill-prepared attentions, and boy is it worth it once they're done. I have some pretty solid plans for what I want to work on in 2019 (hah!) 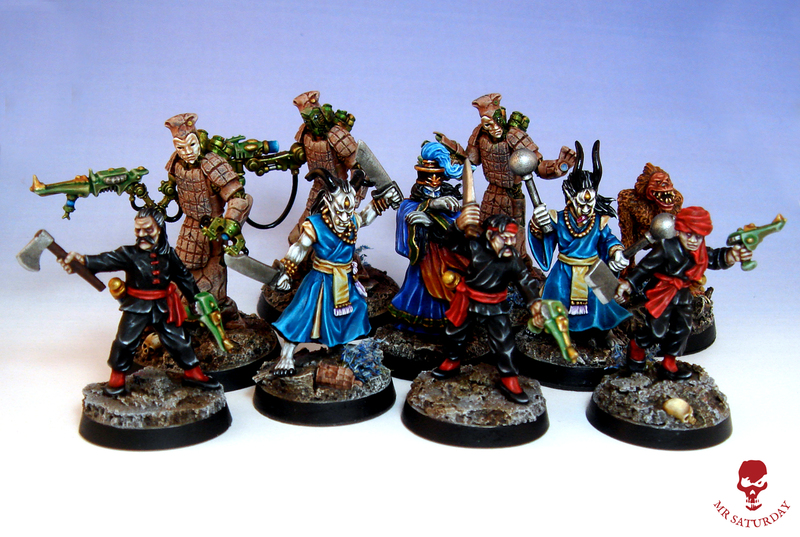 but I'd love to do another warband. 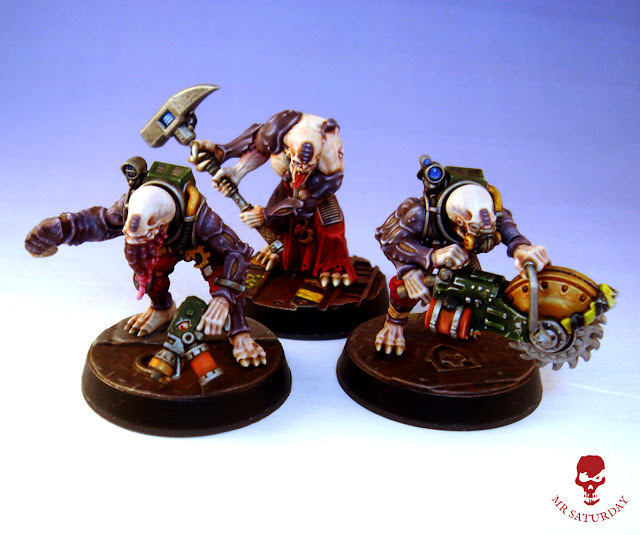 The Skaven maybe, or the Tzeentch lads. Follow me through now into the May gallery. What's that smell you say? I was taken by some more Kickstarter goodies in May, and painted up some of the Circus of Corruption minis. These are part of a set sculpted by Jason Fairclough, whose work I really, really like. I have many more in storage and it's a project I can see myself returning to sooner rather than later. The bearded lady for sure. I think almost everyone want to do a Nurgle force at some point, it seems to be one of life's major milestones in the hobby. 'Well John, this year my goals are to get fit, eat better and paint that Nurgle warband.' That's what I want to see on operation transformation. 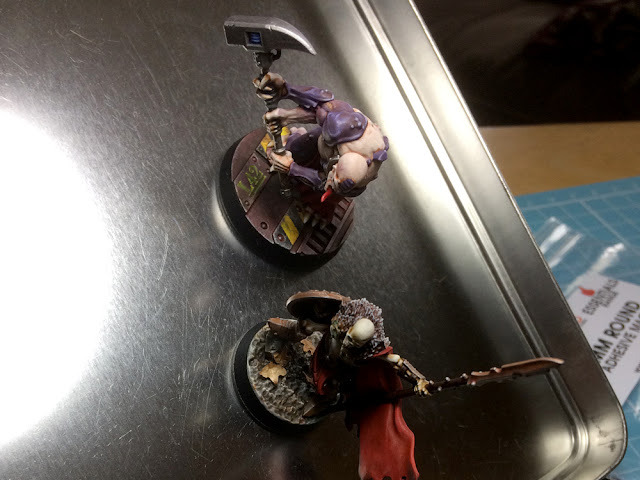 'This week Sally lost 3 lbs and finished her plaguebearers.' I'd watch the crap out of that. 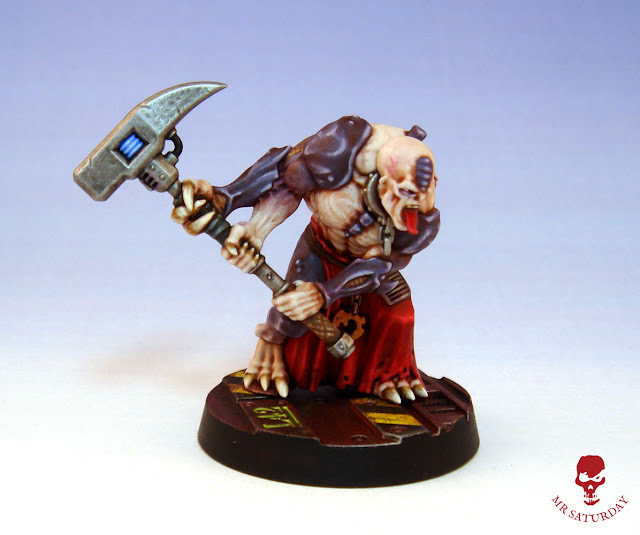 Moving into the Summer terrace I have the most unusual mini of the year, the meatwalker. 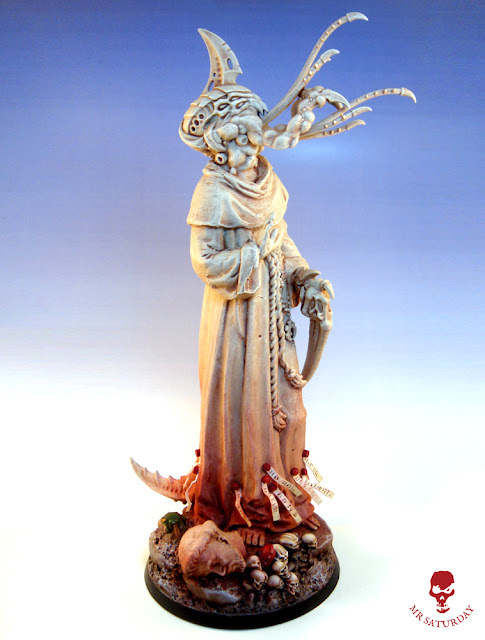 This was another kickstarter by Theoc Games and sculpted by Johan Tieldow. Mental, isn't it? 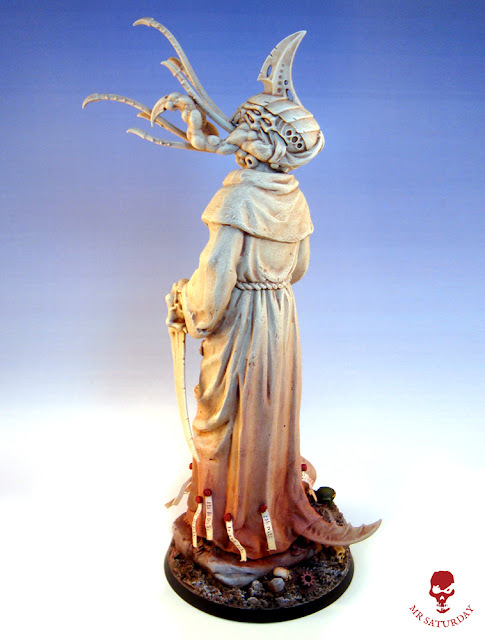 Originally part of the Oldhammer sculpting contest, I had my eye out for a sneaky copy ever since. 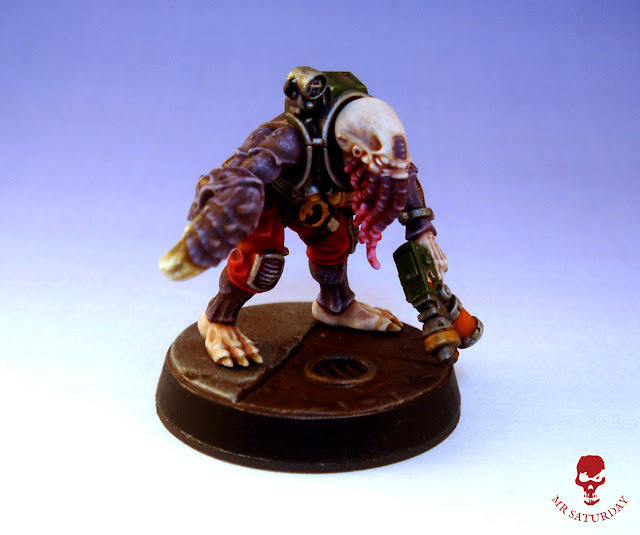 It's the first troll I've ever painted, certainly the first troll controlled by stabby brain sticks. 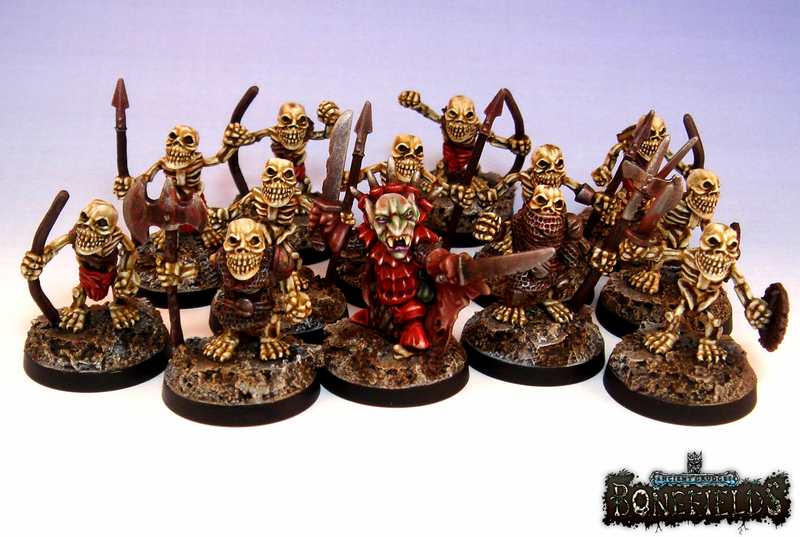 Perhaps the start of a future greenskins warband? Only Mork (or Gork) knows. As Summer settled in I briefly returned to a favourite project of mine, the Kabeiroi, my Genestealer Cult. I have plans to greatly expand the cult in 2019. In July 2018 the cult received two new members, an ancestor and brother Sloth. I'm a big, big fan of the new cult releases. The new plastic kits are magic. At the time of writing images of the next wave have just hit the internet and I am positively foaming with excitement at getting back to painting more cult. When I started this project the cult was a dimming memory from the 1980s, now it's a hugely popular range for current 40k. All those tearful entreaties to the star Gods paid off it seems. I really want to clear the decks once my current project is done and then roll about in cult parts, American Beauty style. Toward the end of Summer I started on a new project that would hoover up all my hobby time (which was about to diminish drastically) for the remainder of the year. Yarr, it be Man O'War! I harangued all mercilessly until knowledge of the arcane mast and sail making process was also mine. With these new powers I got to work hunting down ships, sail templates, masts and other fiddly bits. Eventually I had enough to assemble a fleet worthy of the blood God. It turns out the blood God is big on attaching working jaws to the front of his ships. First up was a squadron of Death Galleys, the Cogs of War. HIM (His Infernal Majesty's) Bloodhound, Damnation and Brass Retriever. 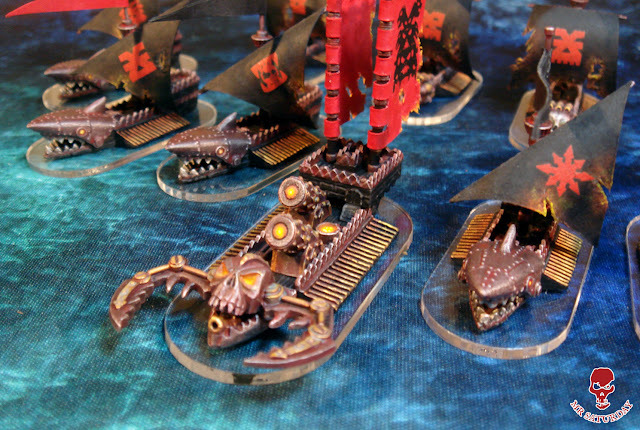 The next addition to my nascent Khorne fleet was my flagship, the Guns of Anarchy. Most recently I finished up two squadrons of Ironsharks. The first consists of The Gorger, Mercy of Iron and The Wrathful Tide. The second squadron is The Coward's Due, The Hateful Word and finally The Harmstead. At the moment I am putting the finishing touches to the last two ships for the fleet, the Bloodships Worldeater and Impetuous Glory. It has taken waaaaaaay longer to build the fleet than I had hoped, but sure, that's the way it goes. When a project drags on like this one has, motivation does suffer. The last two ships in particular have been on the painting table now for about a month and a half. Normally I would maybe switch over to another project for a bit and come back to them. However, being so close to finishing I decided to plough on and take the hit in mojo as I dislike leaving projects almost done. So, the total for the year is about fifty miniatures painted, which is pretty poor, and about average for me. Once again I will shoot for one hundred miniatures in 2019, but we'll see how it goes. 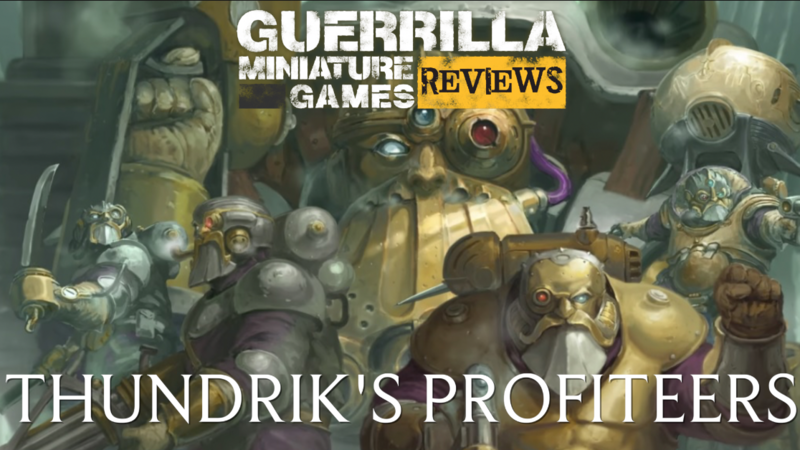 More importantly I want to get a lot more gaming in this year, as last year was pretty dismal, with only a handful of gaming outings, and only one (YES, one) wargaming session. It was a good one, granted, but that a terrible result for a year's gaming. Christ. So, I wish you all the best for both brush and dice in the year ahead. 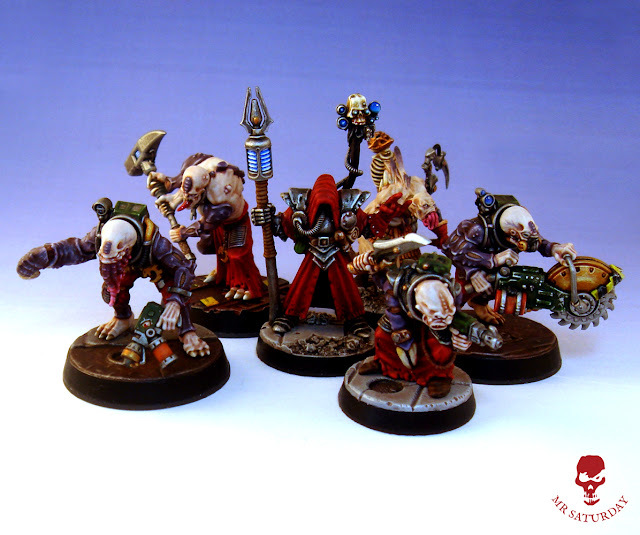 As I said, I am rubbing my claws together for the new genestealer cult releases, oh yes I am precious. When I first decided to build a Khorne fleet for Man O War, it was the Ironsharks that sealed the deal. 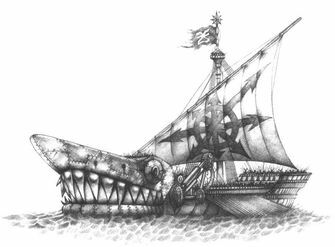 How can a man be expected to resist a ship full of blood-crazed murderers that has a giant articulated metal shark's head at the front? Not this guy. Khorne, master of tasteful understatement. 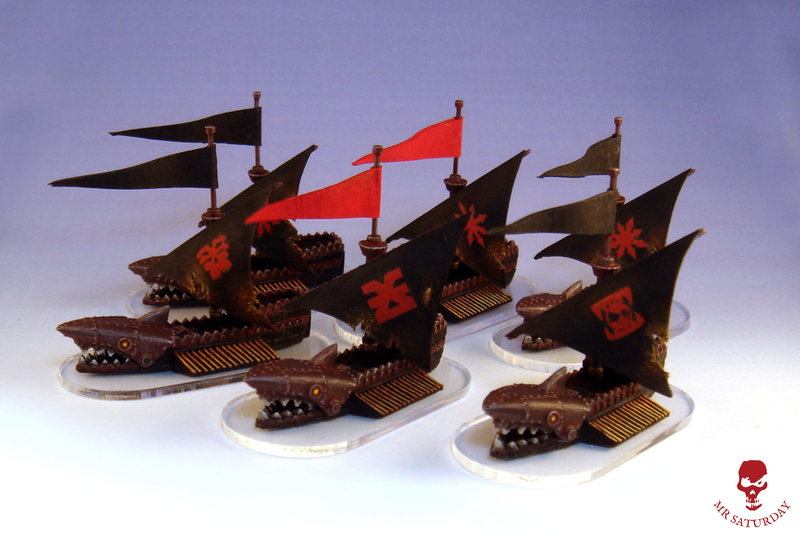 As with my death galleys I wrestled with some thirty year old transfers to add icons to the sails. After some initial failures I got the Microsol and Microset working and they smoothed the geriatric old transfers nice and flat. I think my decision to base them on clear bases was probably wise, as not basing would lead to chipping and I wasn't mad about sculpting waves and such, which is odd for me. I'm usually mad for going crazy on the basing. Okay, here's the plan: we just brave the barrage of cannonfire and then bite them. Cool? Cool. 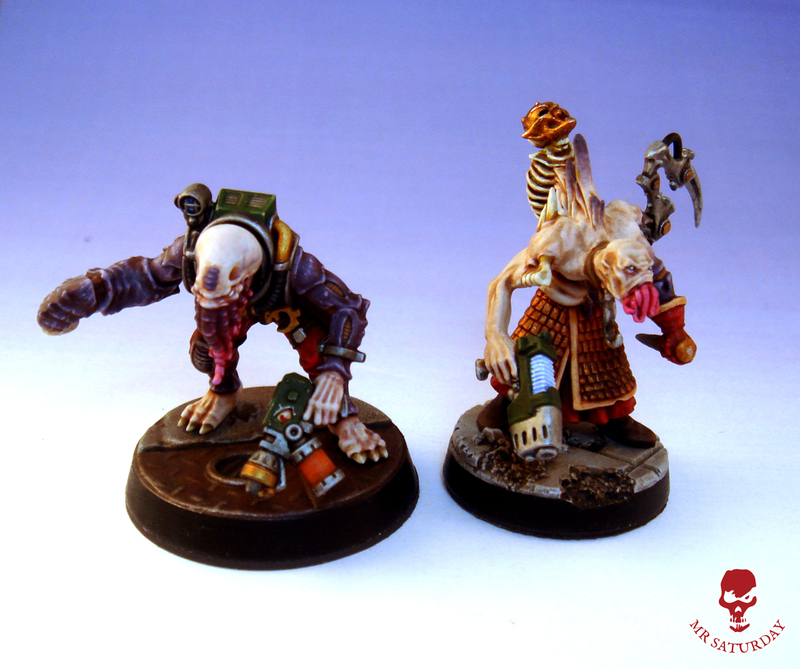 These fellows were on my painting desk for a very long time, so I'm super happy to have them finished. That's given me the mojo boost to tackle the last two ships in the fleet, two Bloodships, The Worldeater and the as yet un-named final ship. As the project has gone on I've decided to tailor my 28mm Khorne warband to work as the captains and crew of various ships from the fleet. It'll be a nice thematic tie-in, don't you think? Like a floating death metal festival.